The toy story continues! The Vinimates line dives deeper into the world of Kingdom Hearts with this 4-inch vinyl figure of Organization XIII Mickey Mouse. Organization XIII Mickey Mouse comes in his black coat. 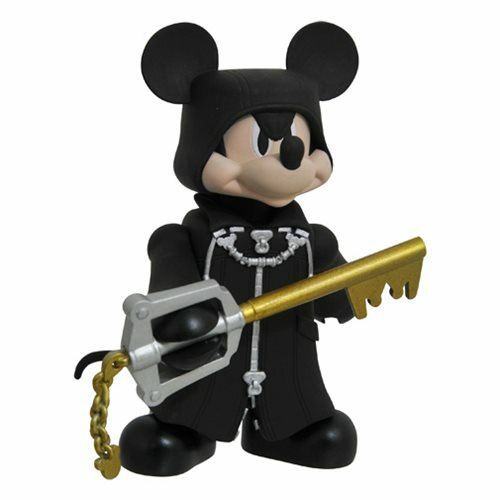 The Organization XIII Mickey figure is sculpted in the block-figure style, striking a pose inspired by the game. The figure comes packaged in a full-color window box. Ages 13 and up.